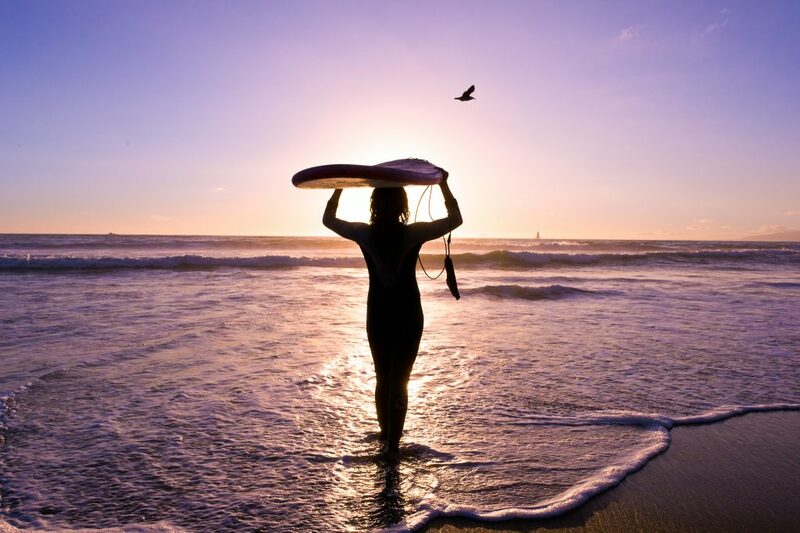 Channel your inner Kelly Slater or Anastasia Ashley and reserve a private or group surfing lesson with Aqua Surf School, headquartered in Santa Monica. Photo Visit California Photographer. Discover six top things to do in Los Angeles outdoors and where to eat along the way. Los Angeles glitters under year-round sunshine, yet nothing beats the county in the summer, when surfers skim the Pacific from sunup to sundown, yogis practice outside and hikers weave trails through thickets of wildflowers. What’s more, California’s seasonal produce informs LA’s top-rated food scene, making it the perfect excuse to feast while frolicking in the great outdoors. →Snack stops: Hold off on that big breakfast and take advantage of your first pit stop, the Original Farmers Market. Standout stalls include Bob’s Coffee & Doughnuts, which boasts a perpetual line; Loteria Grill’s tacos; Pampas Grill churrascaria; falafel at Moishe’s Restaurant; and Bennett’s Ice Cream—because it’s never too early for homemade sweets. Ask your guide if there’s time to swing by In-N-Out Burger, which you’ll cruise past at the tail end of the trip.